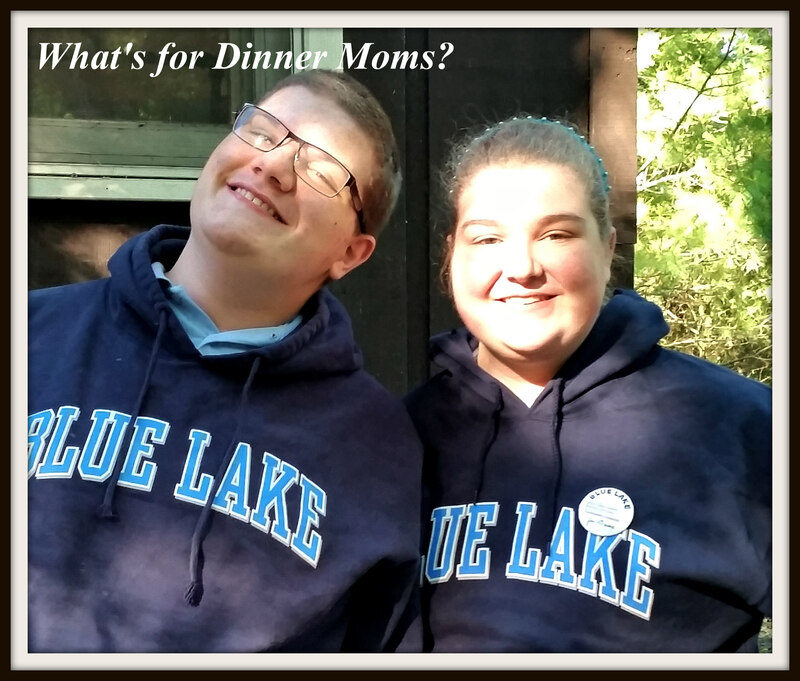 On His Own – What's for Dinner Moms? This has been a strange two weeks for me. My son went to camp for the first time on his own. The past two years he has been to the same fine arts camp he is at now but his sister has always been on the same campus. It was always comforting to me have her there just in case something happened. My son has Autism. He has done very well at this camp and I have always been impressed by how his cabin counselors and unit director have spoken to me ahead of time to find out exactly how to help him succeed at camp. This year was no different. We talked about giving my son two choices to help him move on if he gets stuck on something or how to let him know he needs to take a break from a situation without making him feel defensive about it. The other night someone asked me if I missed my son. It was strange because I miss him but not all the stuff that goes with him. Don’t get me wrong I LOVE my son. But, it is tiring caring for him. It is not so physically tiring as it is mentally tiring. He is always thinking, talking, and seeking input for his thoughts and ideas. He expects you to keep up with him and honestly now he has surpassed me in his knowledge of certain things such as history and science. I can still keep up with him on certain things but sometimes I have to Google as he is talking so I know exactly how to respond to him or to help him look at things from a different point of view. When he was about 4 years-old our neighbors, one of whom was an ex-Marine, took him to the zoo for the day as a treat and to help me out. They brought him home about 5 hours later and the neighbor looked at me and said, “That was so exhausting. How do you keep up with him? He never stops thinking, wondering, and talking about his theories. I need a nap to rest my brain.” I laughed because it was true. You get so mentally tired that everything else seems more difficult than it really is. So, yes I have missed him. Tomorrow I get to go pick him up and hear his orchestra concert. I will get to have him tell me all about his Shakespearean theater minor that he chose and all the fun he had at camp. I can’t wait. But, the best part? He did this all on his own. This was so wonderful to read, thank you. I have had students with autism and they are truly exceptional children. Yes, thank you! His brain is always on when mine is ready to nap! I i’m glad he did well on his own for the first time. Kudos to the camp counselors who helped him succeed. Good Luck To You. My son is 5 and very recently diagnosed. So from the mom of a young kid, thank you for sharing your experiences. Also, my son never stops building and creating. It’s non-stop. Once we’ve built a bridge then it’s a onto a boat and then a boat dock. . . . I want to keep up and do everything he wants to. I just can’t all the time though. Thank you. It is hard to set limits because you want to encourage their creativity. I have found timers to work well with my son. Even now that he is 14 he still depends on them for everything or he “gets lost.” I could say I will play with you until the timer goes off then I need to go work. We will set the timer again so I can can see what you have done when the timer goes off when I am working. We would do that all day long. Even now homework is done with timers, reading, television, etc…Even his showers! I appreciate being able to learn something new about autism through your experience. I learned SO much from watching ( on YouTube)Holly Robinson Peetes son ( I think his name is RJ) who has autism on their show. This young man had me literally laughing and crying. Thanks for sharing. Light and Love, Shona. Thank you for your sweet kind words.